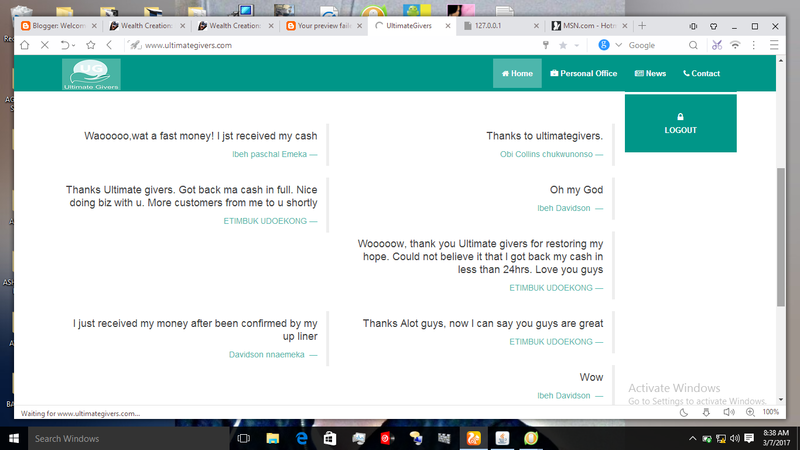 Ultimategivers is a platform developed by givers with heart of gold and a single objective of aggregating people of like minds, whom out of self will give help to people within their circle. At ultimate Givers, we are one big happy family, with a large heart and we love been our own brother’s keeper. Together we can make the world a better place. To provide the system and support needed to enable our members achieve their dream and vision. To build a self-dependent stream of income, through ultimate givers platform, within a global village of happiness. 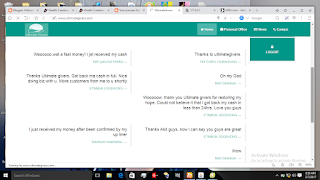 Overwhelming testimonies with a continuous revolving ultimategivers, remain our ultimate GOAL.